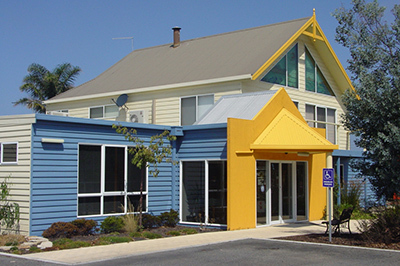 Cunninghame Arm Medical Centre is a comprehensive family medical Practice in the beautiful costal township of Lakes Entrance. Our practice provides the full scope of care for the local rural community and visitors to the region. This includes general medical care, emergency care, women’s health services, and management of chronic illness, immunizations, procedural care, skin care clinic, wound care and preventative medicine. We also provide palliative care services, Hospital in The Home and Nursing Home services. The Practice has five senior doctors, four registrars and we host two 4th year Monash Medical students who are part of the practice for a twelve month placement. From time to time they may be part of your consultation and care at the practice. Our practice nurses specialize in wound care, chronic illness care and emergency triage. Phone or come in to see us at Cunninghame Arm Medical Centre and speak with the reception staff to make an appointment to suit your needs. Medicare rebates are processed immediately on paying your same day account. Existing patients are able to make appointments “On Line” 24/7….. see our “Book an Appointment on line now” tab on this page.